Amazon has announced a plethora of new smart devices powered by its voice-assistant Alexa, such as the Echo Plus, Echo Dot, Echo Show, Echo Auto, and more. As part of all these new refreshed products, the company also highlighted how smart Alexa has become, and in the quest to make it even smarter, Amazon has announced a ton of new skills for Alexa along with some developer tools. Alexa has got plenty of new features, many of which are available later this year. These new features range from security to entertainment. Alexa Guard – When Guard mode is activated such as when you leave your home, certain Echo devices will be able to listen for sounds such as glass breaking or the smoke detector going off and then send alerts to your device. Hunches – This feature basically adjusts Alexa’s suggestions based on your day-to-day habits. It can figure out when lights or other connected smart devices are not in the state you normally leave them, and suggest that they be turned on. It’s useful when you return from a work trip or a long stay away from home. Easy Wi-Fi Setups – Alexa can connect selected Amazon smart devices to a Wi-Fi network with just a voice command, or through the Alexa app where you can scan a barcode to add new devices to your network seamlessly. 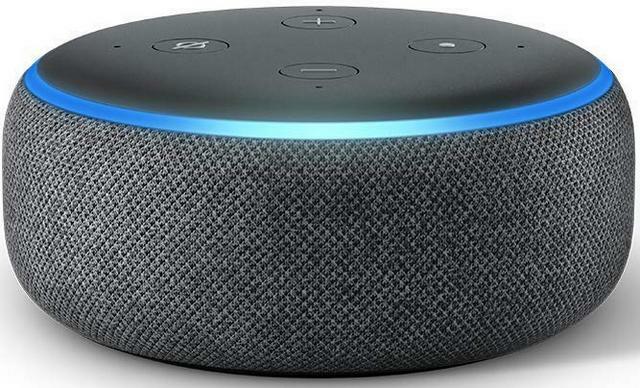 Local Voice Control – Seen in some Echo devices, Alexa can work offline to turn on devices in the smart home. It cannot however answer queries, stream content or search for products when in local voice mode. Ring and August Integration – Echo Show will add a two-way talk feature that works with Ring and August doorbell cameras, allowing you to use a voice command to see and talk to whoever is at the door. Alexa will also be able to notify you when someone rings a Ring or August doorbell camera. Alexa Routines – Besides location and time-based routines, you can also set Alexa to perform certain tasks when it detects changes in temperature or when it senses motion. You can also set reminders that are triggered when you leave or arrive at home or at work. Virtual Cooking Coach – Alexa will soon take you through recipes, one step at a time. Amazon has partnered with Kitchen Stories, Allrecipes, Epicurious, Food52, TheKitchn, and SideChef for step-by-step instructions. Multi-step Requests – Now users can add multiple items to their shopping list in a single command, without having to repeat the hotword to activate Alexa each time. Or you can ask Alexa to turn up the volume, and start a playlist at the same time. Email Integration – Users can link a Gmail, Outlook, or Hotmail account to the Alexa app, which would allow the virtual assistant to read out your messages, and you can even send out replies using Alexa. Now that’s a really cool feature which would come in handy for short email replies. Whisper Mode – Just for fun, when you whisper a command or request to Alexa, you will get a whispered response back. Echo Stereo Pairing & Preferred Speaker – Users can connect two Echo devices to create a left-right stereo experience. You will have to use the same models for this feature to work. Additionally you can set a default speaker. This can either be an Echo device, or any speaker with Alexa support. Music Notifications – Alexa can tell you when new albums or tracks for artists you follow are released. Visual Alexa Blueprints – Building on Alexa Blueprints, which is how Amazon lets anyone create a skill for Alexa, this new Alexa skill will users create and share personalized video messages. FreeTime features – Amazon announced FreeTime some time back and now it has added Kid Routines, combining actions like saying goodnight, turning off the lights and starting white noise machines or setting an alarm. Additionally, the company has announced Tidal support for Echo devices later this year. Apart from that, developers interested in building their own array of Alexa-powered devices will have some new tools to work with thanks to the arrival of a software development kit and a hardware reference design introduced by Amazon. The company unveiled the Alexa Presentation Language, which is basically a new design language that will help developers build and arrange their own skills on Alexa devices with a screen. The Alexa Presentation Language dictates how Alexa skills should work on screens, providing guidance around text size, slideshow displays, and layout design for developers, among other things.